4.14/5 - 7 reviews. Vote here! Villa Padierna Golf Club is a prestigious and exclusive golf club in southern Spain, endowed with endless natural beauty and overlooking the Mediterranean Sea. Where magical and enriching moments are curated especially for you, inspired by the land, the people ... and the game. 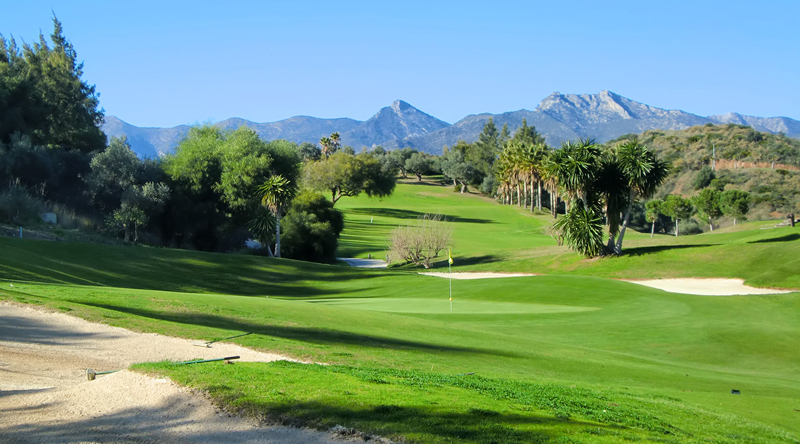 Revel in your favourite leisure pursuit on Spain's glamourous Costa del Sol, a haven for golf aficionados. Where time does not exist and life tastes different. The three courses of Villa Padierna Golf Club have been designed to be challenging and pleasurable for golfers of any caliber. Flamingos Golf, Alferini Golf and Tramores Golf offer state-of-the-art facilities and a level of personalised attention unmatched anywhere in Spain. The golf club is also home to a one-of-a-kind academy, led by 2005 US Open Champion Michael Campbell. In late 2017 and early 2018, Villa Padierna Golf Club underwent major upgrades, affecting virtually every aspect of the facility. A dedicated and increased grounds crew is keeping the courses in immaculate conditions. Flamingos Golf This 18-hole, 71-par course measuring 5,714 metres was designed by the Spanish architect Antonio García Garrido, known for his meticulous landscaping. It has a great variety of trees and stunning views of the Mediterranean Sea. The immaculate contoured greens are generous in size but the fairways are slender on the first half of the course, where more precision is needed than on the second half. The strategically placed bunkers contain white marble chips; most fairways are sown with Bermuda whilst the greens and tees have been sown with Penncross. Flamingos Golf had the honour and privilege to host many prestigious golf tournaments over the years, including the 2002, 2003 and 2004 European Seniors Tour Final and the Women's Spanish Open in 2010. Alferini Golf This 18-hole, 73-par course measuring 6,641 metres was designed by Villa Padierna's green keeper Cristóbal Guerrero. 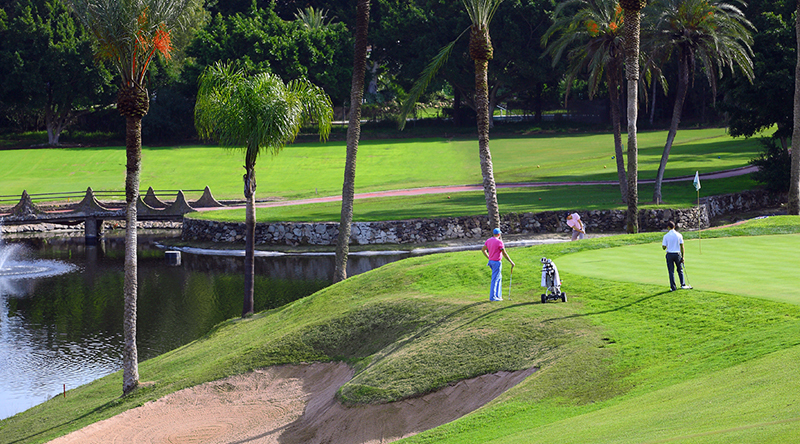 Well ensconced in the landscape, Alferini Golf is the ideal course to hold competitions and big tournaments. 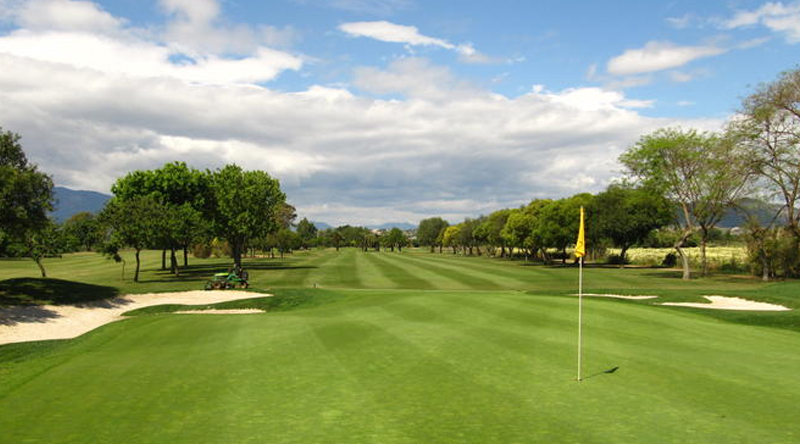 Tramores Golf Also this 18-hole, 63-par course measuring 3,468 metres was designed by Villa Padierna's current green keeper Cristóbal Guerrero. 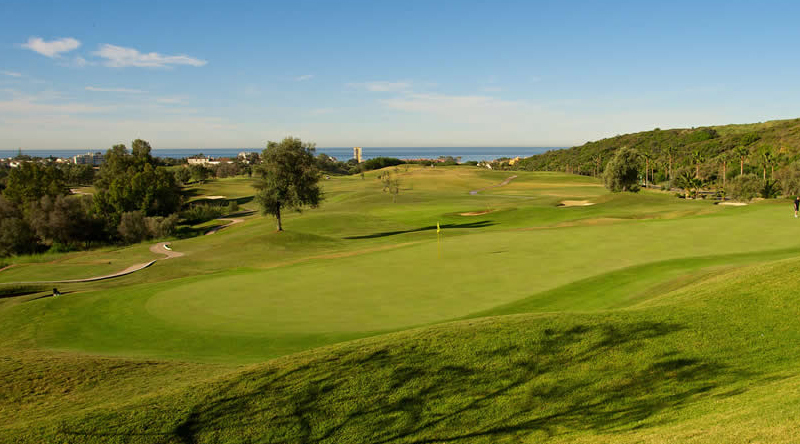 Tramores Golf is set in a lovely landscape between two valleys with arresting views of the Mediterranean Sea. Villa Padierna's third course is a fast, accurate course, yet still entertaining and requiring skill. This is a great chance to improve your short game avoiding long days on a traditional course. Not surprisingly, Tramores Golf holds strong appeal to novices, younger players and time- strapped golfers. Its facilities include the Michael Campbell Golf Academy, the only golf academy in Europe specialised in the short game.